Jennifer Koh performed works by "Bach and Beyond" in recital. The New York Times: "Ms. Koh has an allusive breadth of sound — a voice’s quiver, an organ’s force — and stirred an intensity so strong in two mammoth fugues that my ears filled in the harmonies left implicit by the limits of a violin’s four strings. Both sonatas were weighty and steeped in tragedy at times, but never leaden in sprightlier moments. I’d call them monumental, if they hadn’t been so alive." The Spectrum: "Koh’s performance has been two centuries in the making and the audience loved it. Through Koh’s blending of baroque and contemporary music in “Bach and Beyond,” it became clear the works of earlier composers and musicians are alive today, as long as an innovator like Koh is around to play them." 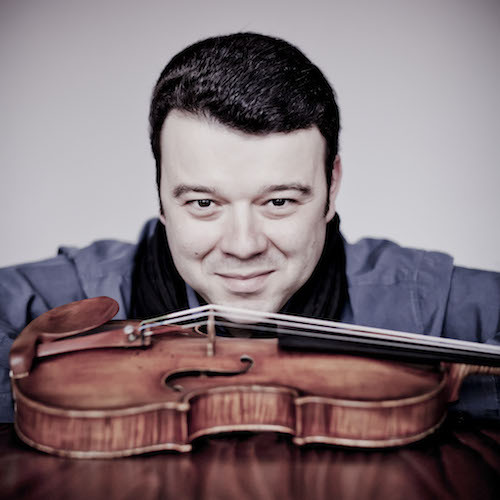 Vadim Gluzman performed Prokofiev's Violin Concerto No. 2 with the Cleveland Orchestra. The Plain Dealer: "Making his Cleveland debut with Prokofiev's Violin Concerto No. 2, he infused a score that can come off as dry and mechanical with a winning combination of lyricism and vigor." Joshua Bell performed the Bruch with the Toledo Symphony. Toledo Blade: "Then it was time for Bell, one of the reigning superstars of violindom, and yet, a nice, down-to-Earth Indiana guy at heart. His reading of the Max Bruch Violin Concerto was poetic." Julian Rachlin performed Prokofiev's Violin Concerto No. 2 with the Boston Symphony Orchestra. The Boston Globe: "The soloist grabbed onto the outer movements with fearless technique, but the music seemed to speak most clearly in slower middle movement, where Rachlin brought an eloquence of phrasing to Prokofiev’s disarmingly lyrical melodies. The pyrotechnics of the finale on this occasion offered plenty of light, if only a modicum of heat." Boston Classical Review: "Rachlin did soar satisfyingly over the orchestra at times, and he and the orchestral violins created some lovely moments together. But it was a performance notable mainly for those rugged Prokofiev virtues of bright articulation and biting rhythms, not for sweetness of tone or sentiment." Boston Musical Intelligencer: "The soloist Julian Rachlin seemed to be fighting the orchestra much of the time, in an effort to make himself heard without scratchiness; it’s likely he could have projected more effectively if the string section had been somewhat reduced. But in the less furious passages his expressive tone soared and came through clearly, especially in the high register, and the second movement showed this with particular warmth." Noah Bendix-Balgley performed the Khachaturian with the Pittsburgh Symphony. Pittsburgh Post-Gazette: "Mr. Bendix-Balgley has a superlative sense of musical timbre, although in this performance it took a bit of throat-clearing to get there. His phrasing in the movement felt belabored, and the orchestral quilt briefly came apart. But the second movement seemed to focus his performance: Every color was deliberate, with each entrance and phrase an opportunity for surprise; that lyricism carried into the finale. He used the cadenza by David Oistrakh, for whom the concerto was written." Pittsburgh Tribune-Review: "Bendix-Balgley responded with equal alacrity to the various personalities within the music. His virtuosity, particularly his bowing, is irresistible, but the heart that lifts his lyricism is treasurable." Hyeyoon Park performed Prokofiev's Violin Concerto No. 2 with the Royal Northern Sinfonia. The Northern Echo: "...at the start of the last movement, what every violinist must dread happened – a string snapped. In a moment of high drama Park spun on her heels, swapped her instrument with orchestra leader Bradley Creswick and, without missing a beat, continued to blaze through its boisterous folk dances." Baiba Skride performed the Berg with the Utah Symphony. The Salt Lake Tribune: "Whether putting on an impressive display of left-hand technique or joining the Utah Symphony's violinists in an extended lament, Skride's command of the concerto was never in question." Pinchas Zukerman performed Mozart's Violin Concerto No. 5 with the Budapest Festival Orchestra. Berkeley Daily Planet: "After Mozart’s 5th Violin Concerto, Pinchas Zukerman returned to play as an encore a Brahms lullaby, in which he invited the audience to sing along." Arabella Steinbacher performed the Tchaikovsky with the National Symphony Orchestra. Washington Post: "This was not the most organic performance I’ve heard, but it was quite enjoyable on its own terms." Washington City Paper: "Famous as the violin concerto is, it’s hard to be surprised by it, though Steinbacher handles it beautifully, if a little hesitantly at first. This may have been by design, though, too: Steinbacher’s playing style—wide vibrato and unhurried, stately pacing—comes off as supremely self-assured rather than meek." Andrew Sords performed the Arensky and F minor Romance by Dvorák with the Boulder Chamber Orchestra. OpusColorado: "There is no doubt that (the Arensky Concerto) is a virtuoso piece, but Sords’ remarkably flexible bow arm, and his relaxed left-hand not only made this piece wonderfully musical, but created the impression that he was having no difficulty whatsoever." All the winners, with the exception of Benjamin Baker, are current students of the competition’s Founder and Jury President, Zakhar Bron. Here is the criticism from Slipped Disc, and here is a defense in The Strad. The New York Times: "'“New music has to be part of the future of music,' Clive Gillinson, Carnegie’s executive and artistic director, said in an interview. 'Obviously, the heritage is unbelievable — it’s some of the greatest creations of the human race. But it’s still got to be moving forward.'"